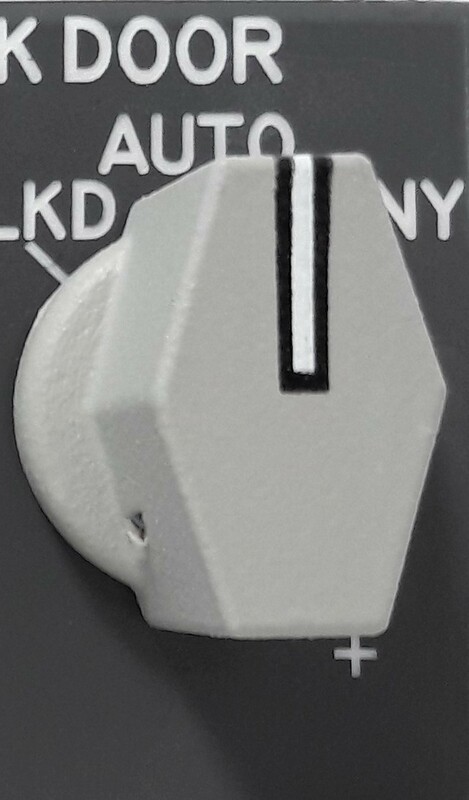 CABDOOR737 reproduces the analogous module present on the 737NG pedestal. 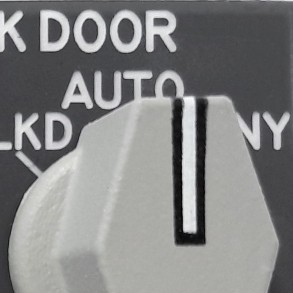 The CABDOOR737 panel is connected to the brightness regulation panel (BRT737NG) through a single flat cable (integrated), so it requires BRT737NG panel to function. 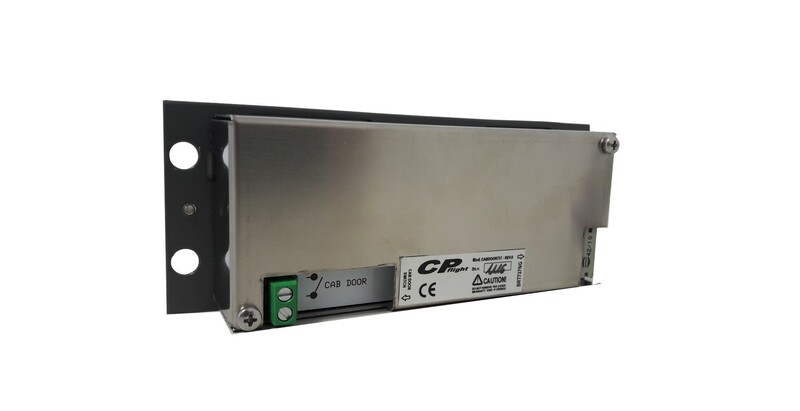 CABDOOR737 disposes of a 2 pole terminal block, whose status is trasmitted to the connected software together with the position of the STABTRIM switch. A contact (e.g. 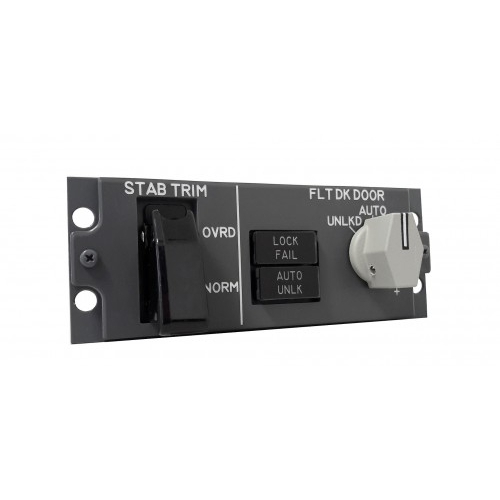 microswitch) can be connected to the terminal block to give the cabin door status information to the software. 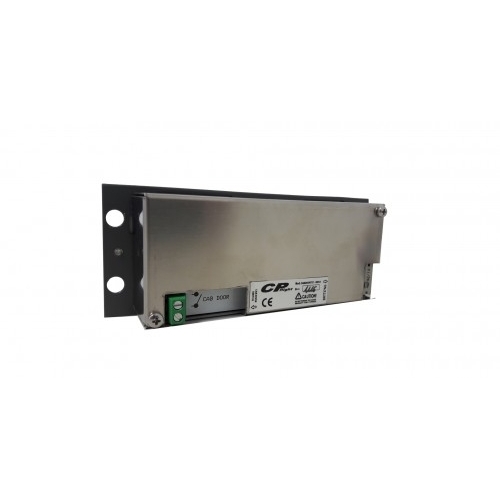 The functions related to the terminal block, STABTRIM switch, FLT DK DOOR commutator and to the two LOCK FAIL and AUTO UNLOCK annunciators depend on the connected software. 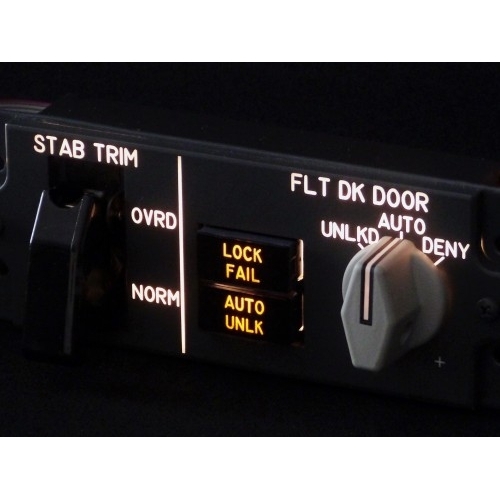 It is compatible with PMDG and PROSIM737. 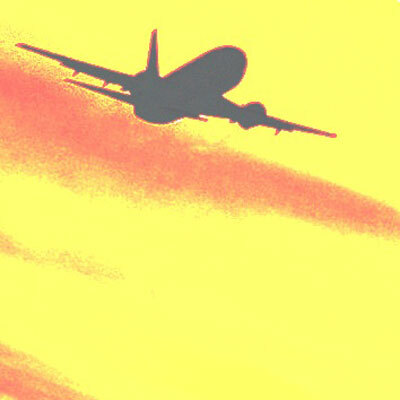 Due to the continue evolution of the flight simulation field we costantly update the compatibilities. Please verify the current state of the compatibility at our section "Technical and documents". • 1 flat cable (integrated) used to connect to the BRT737NG panel. • Work with all CPflight MCP versions. Our CABDOOR737 connects directly by flat cable to the BRT737NG. 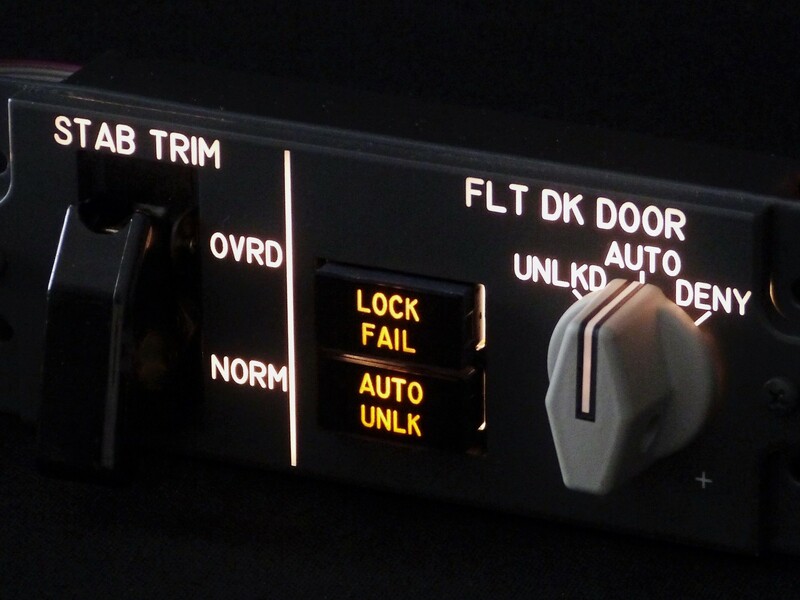 CABDOOR737 does not require further driver installations, software configurations and does not take USB ports on the pc. Behind the panel the thickness of our CABDOOR737 is of 24 mm.